Wet bog has a soft, spongy (sometimes even quaking) surface, with pools of open water and flat lawns of coloured bog mosses. 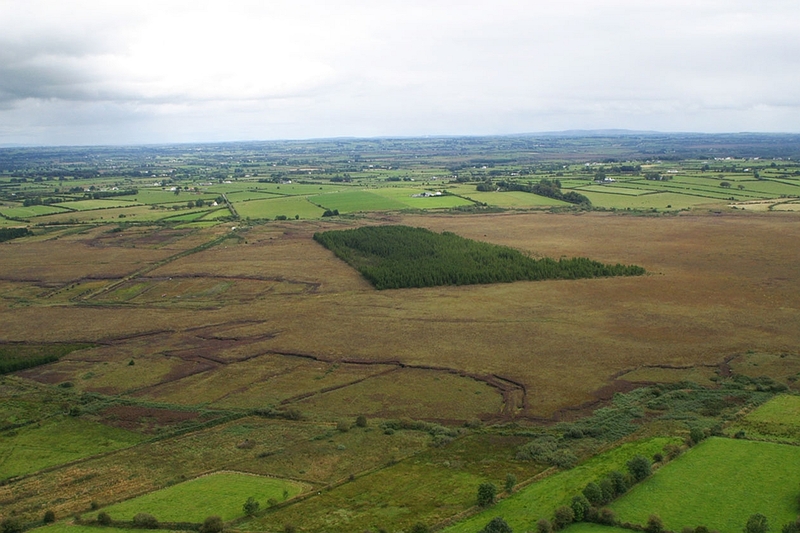 The wettest areas are usually found in the central part of the high bog, where you often find hummocks, pools, Sphagnum lawns, flushes and soaks. 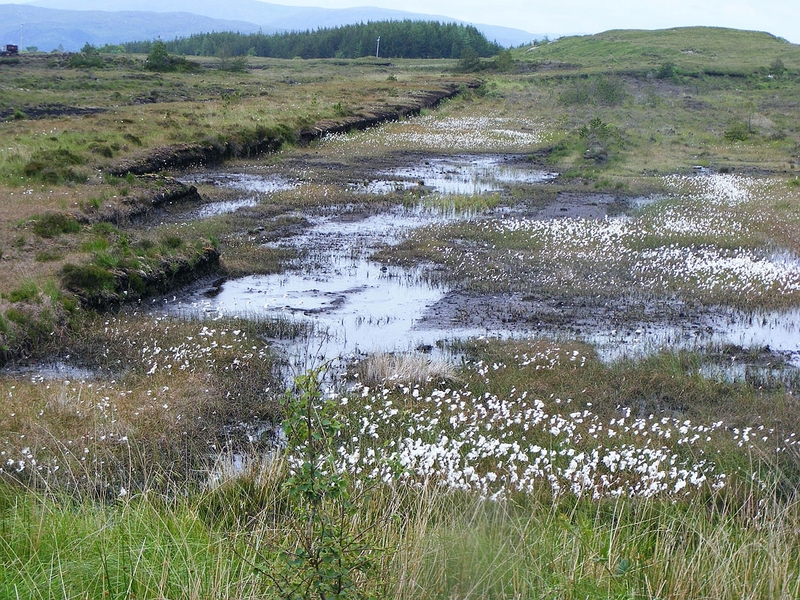 Sometimes, wet bog can develop in the cutover areas, wherever drainage is poor. 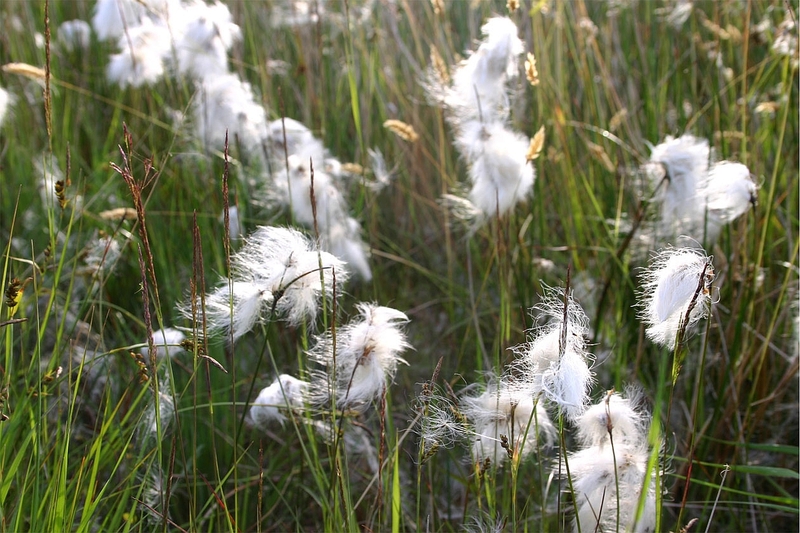 The surface of dry raised bog tends to be firm underfoot, with little surface water to be seen. Heathers and bog cotton species are plentiful, also lichens and the beautiful yellow bog asphodel. The bog mosses are scarce here, and these areas are no longer actively peat-forming. This habitat forms when wet raised bog has been affected by drainage. The aim of restoration is to re-wet dry areas and to create, wherever possible, the conditions for active peat formation in future. Naturally-growing native woodlands dominated by birch have always been a feature of Irish raised bogs. These woodlands often occur in the margins of raised bogs where the peat is shallow. Typical species are birch, willow and Scots pine, with ferns and mosses. On some areas of the project sites where water levels remain low birch woodland will develop, providing an additional natural habitat for wildlife.